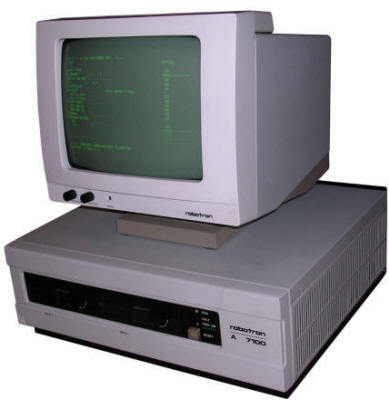 In 1980s IBM PC and its clones gained popularity as computers for business and office applications. 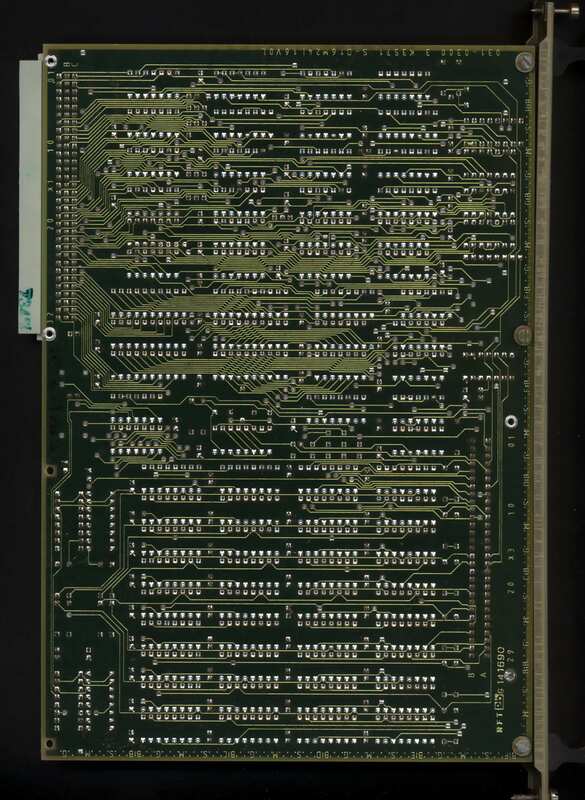 Development of boards for better graphics and sound made PC an universal machine for gaming, design or even computations. 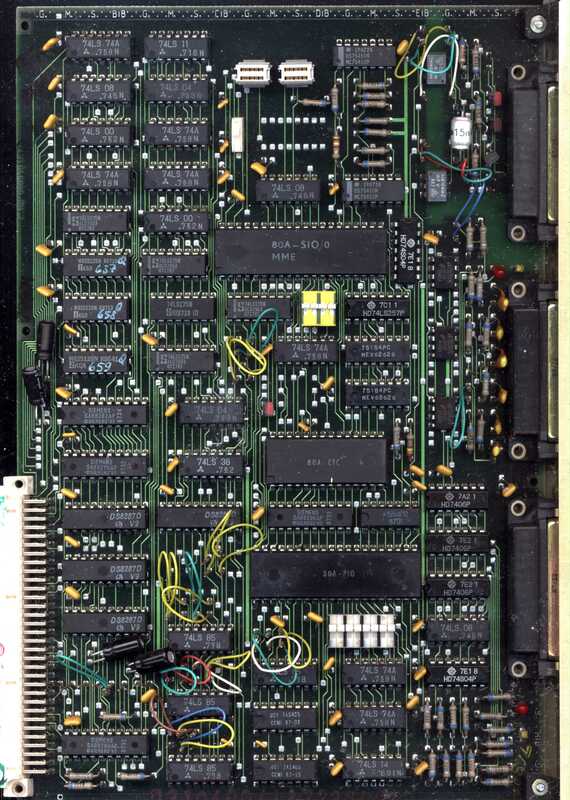 In Eastern Block countries in 1980s the most successful systems were based on mainframe or were small, usually Z80-powered systems. But there were numerous tries to build a PC-compatible computer and if such try succeeded, machine was manufactured until parts were supplied (or someone seen its inprofitability). 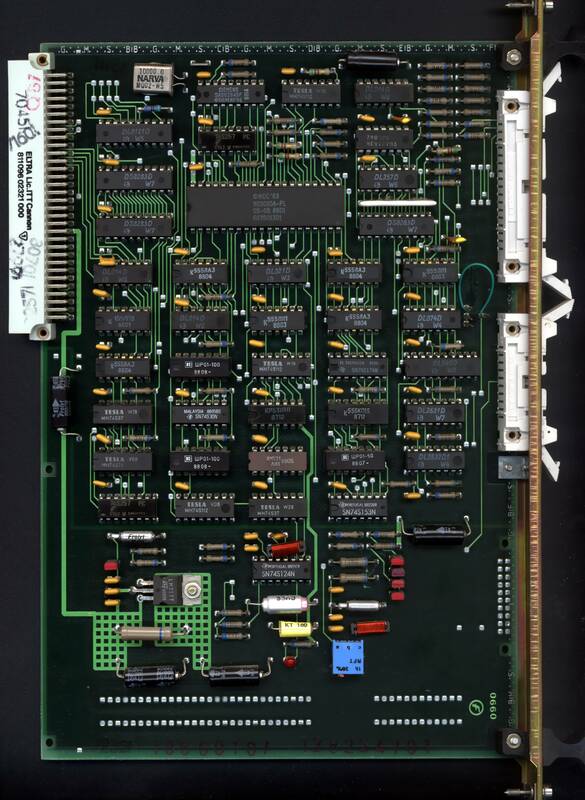 The Robotron A7150, in Unified Notation called CM1910, was a result of a series of computers, achieving sufficient compatibility with IBM PC. 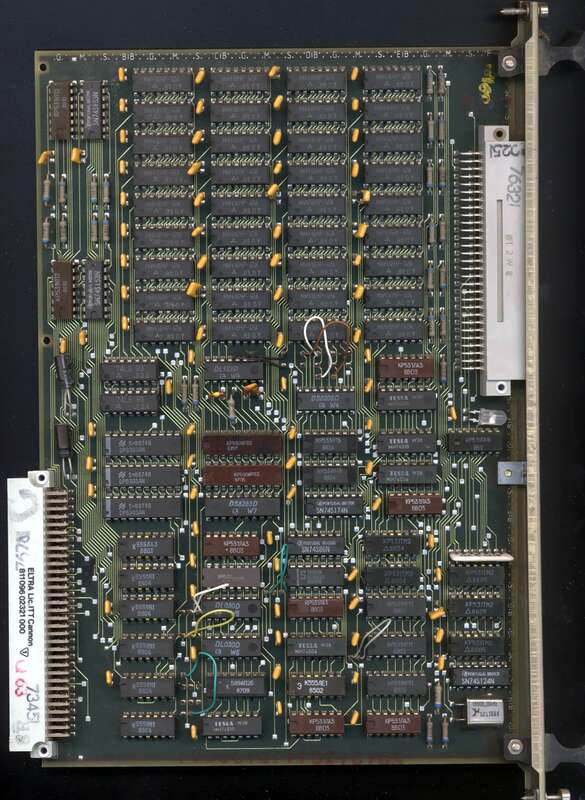 Earlier machines of the series were not totally PC compatible. 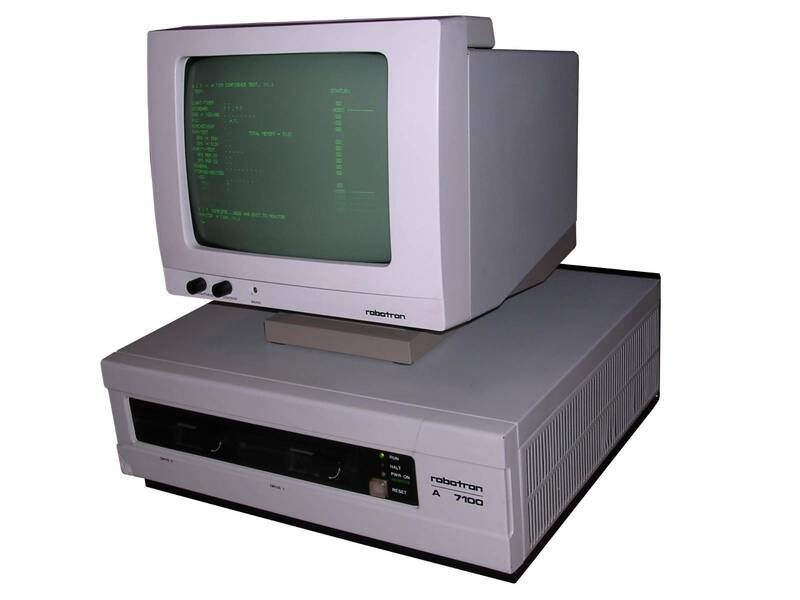 Although A7150 was released in 1988, much after more PC-like EC1834 from 1986, it was based on A7100, older than EC1834. 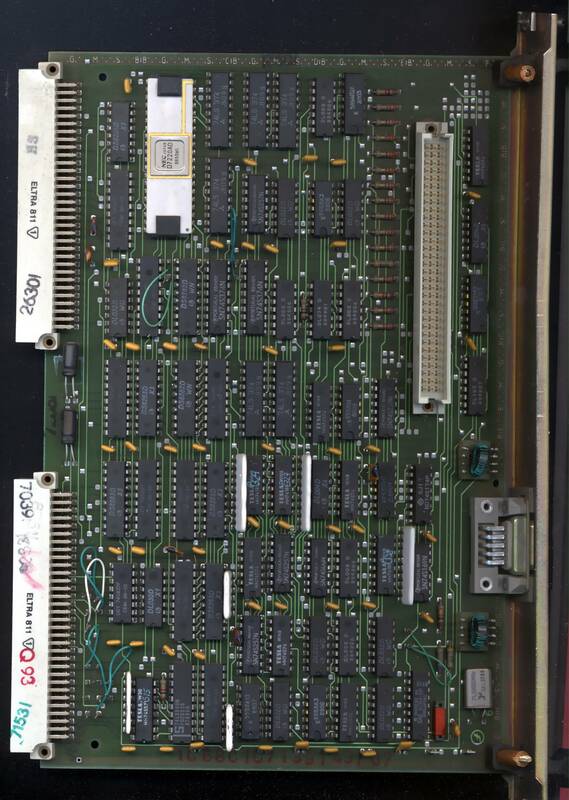 A7100 was the machine based on much older MMS-16 architecture with Multibus bus as the main communication method. 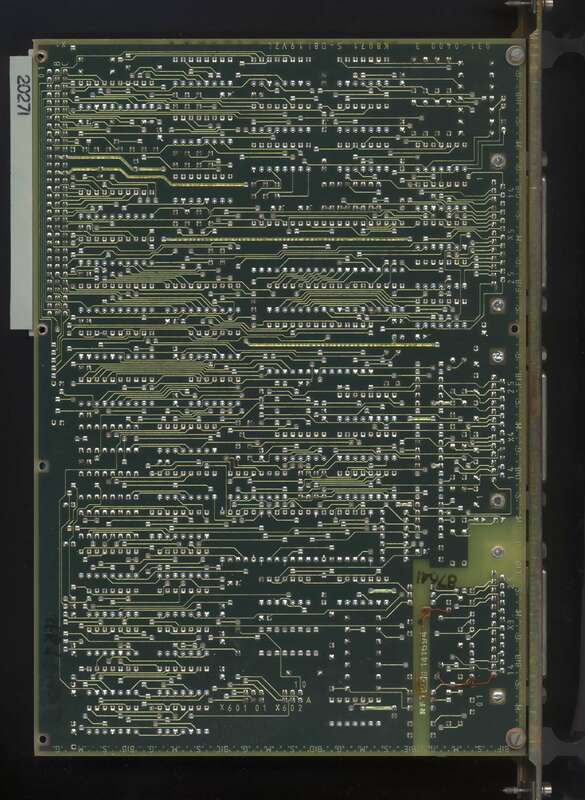 The computer is built in 9 double-Eurocard boards, in which every board has its own function. The Multibus rail joins the cards together. 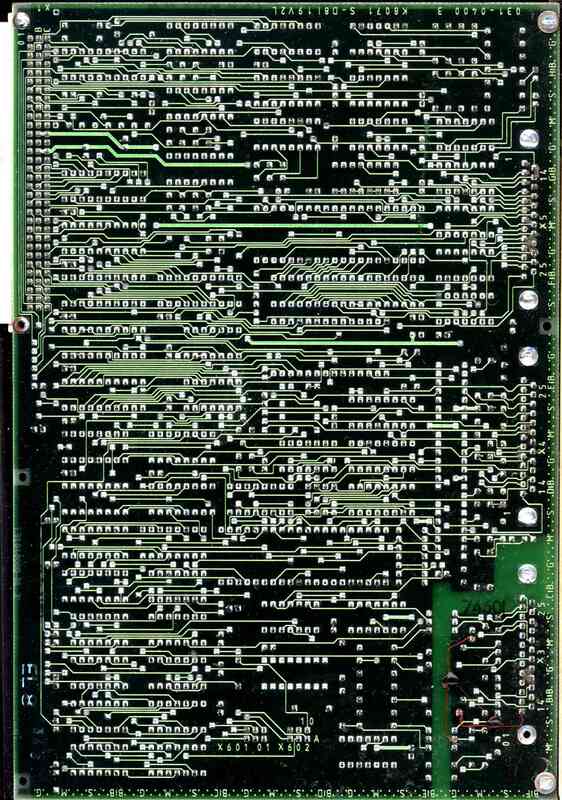 This bus contains not only Intel 8086 buses, but also control signals for boards cooperation. 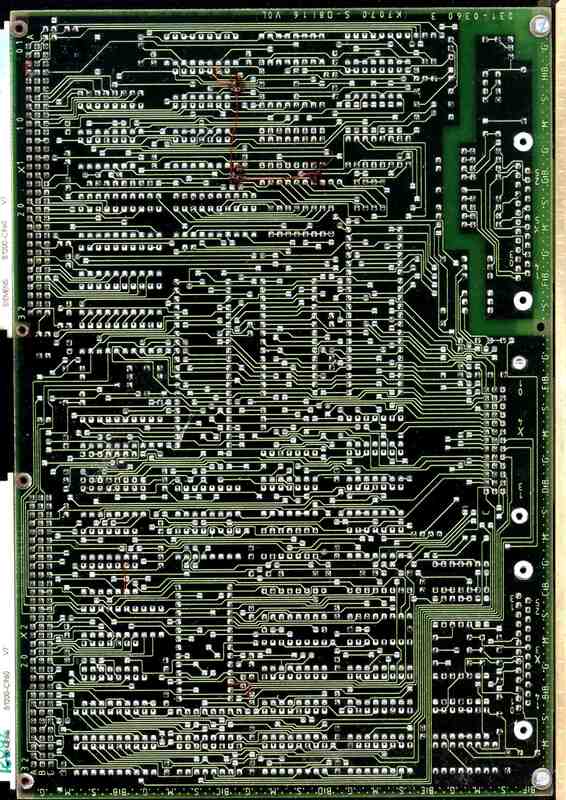 Some of these boards contain a small Z80 system!. 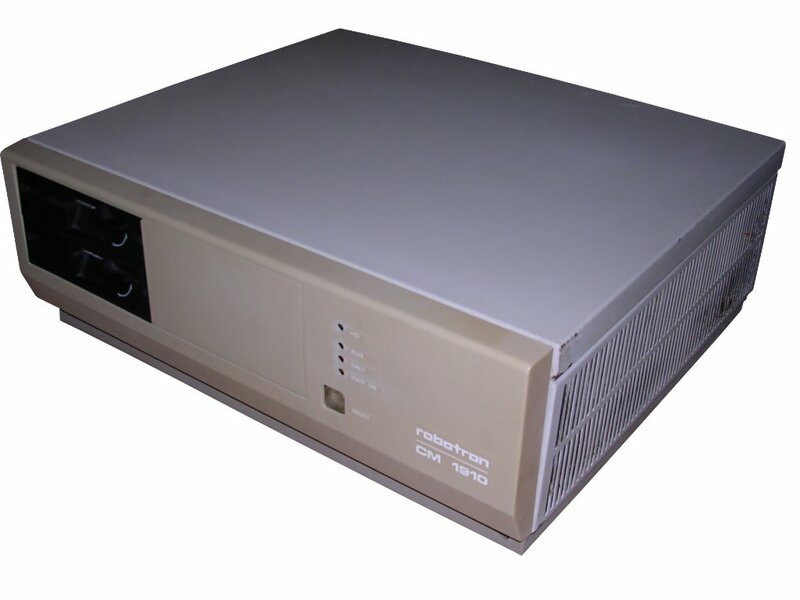 The graphics adapter was compatible with PC character mode graphics card, running 80x25 mode as well as specialised 640x480 graphics mode which these times was completely sufficient for CAD applications. The CPU was originally a Soviet one, yet in later units it is western - made by Siemens. 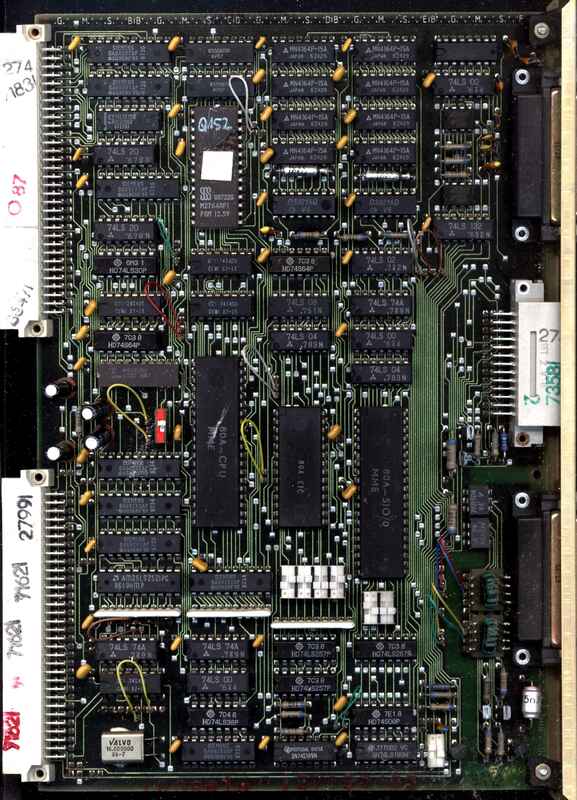 My computer also contains a Siemens 8087 FPU and as the professional machine, most A7150s contained FPU. The machine was used as a high-end workstation for computations and design. It was possible to hook up a few terminals and work in a cooperative system. The computer had port to connect graphics tablet for acquiring design drawings. 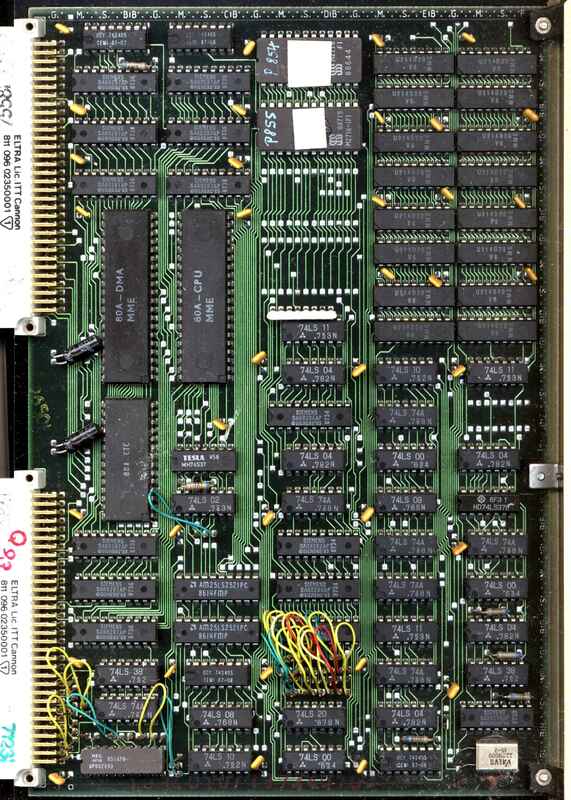 512kB of RAM, present by default in standard product, was a downfall there, so 1MB and 920kB cards were available. 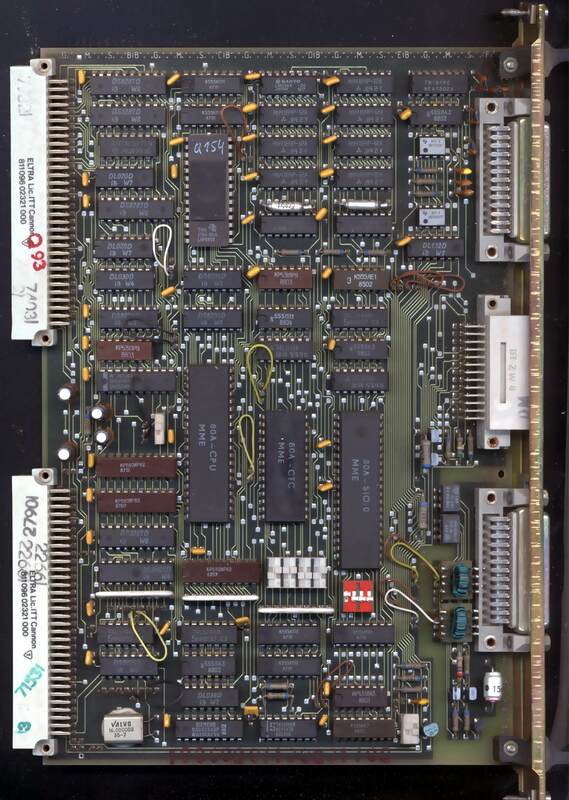 As for software, there was a variety of programs: CAD software working in graphics mode, DOS analog ( calledDCP1700), CP/M-86 analog (called CP/K) or even MS Windows 3.0 variant with drivers allowing to run on 640x480 graphics. 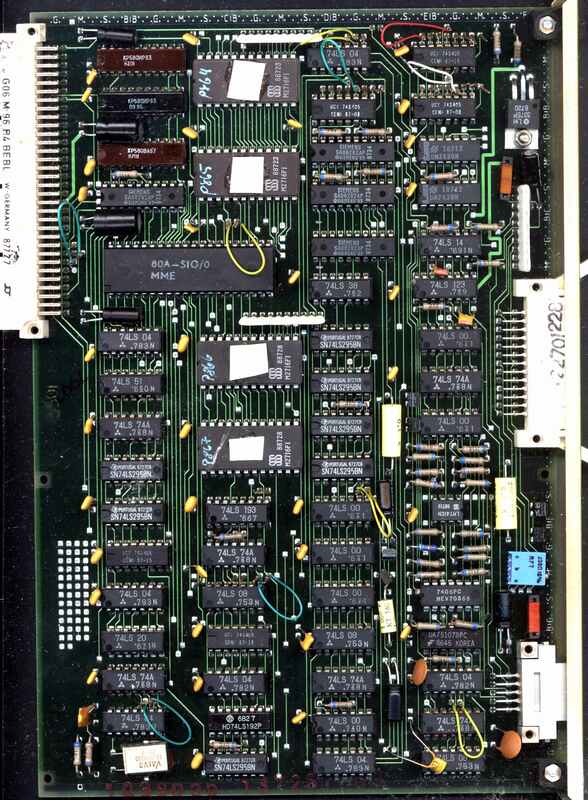 It was also possible to run MUTOS1700 which was UNIX-like system. Non-standard expansions: ... all cards? My unit starts and boots up well, yet I have no keyboard for it, so it doesn't pass the POST, here known as ACT. ACT is a quite complex piece of software built in ROM, which can check proper system operation, boot the proper drive or, in case of error, jump to CPU's monitor also stored in ROM. 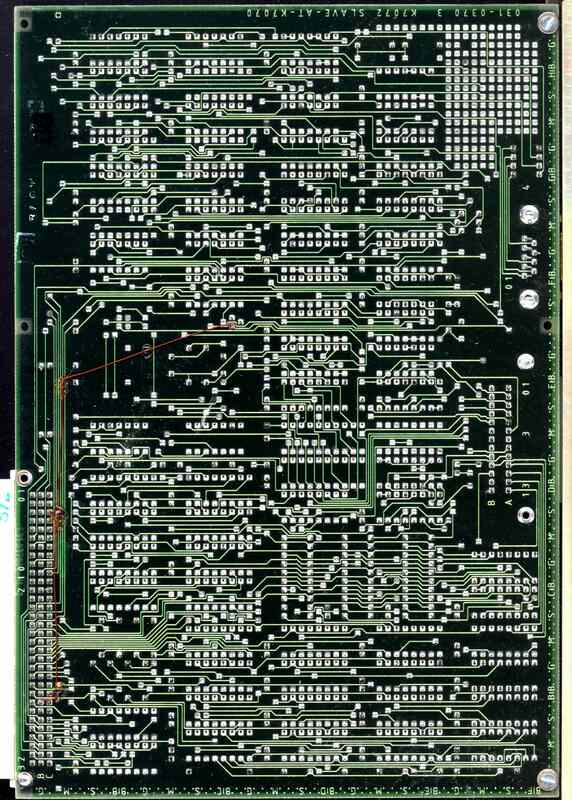 The keyboard is made around dedicated Z80-like microcontroller. This construction is definitely not a standard one, yet it has capabilities similar to early PCs: Two 360K floppy disk drives, two MFM hard disks (but in most units parts for second one are not installed), good resolution video card. 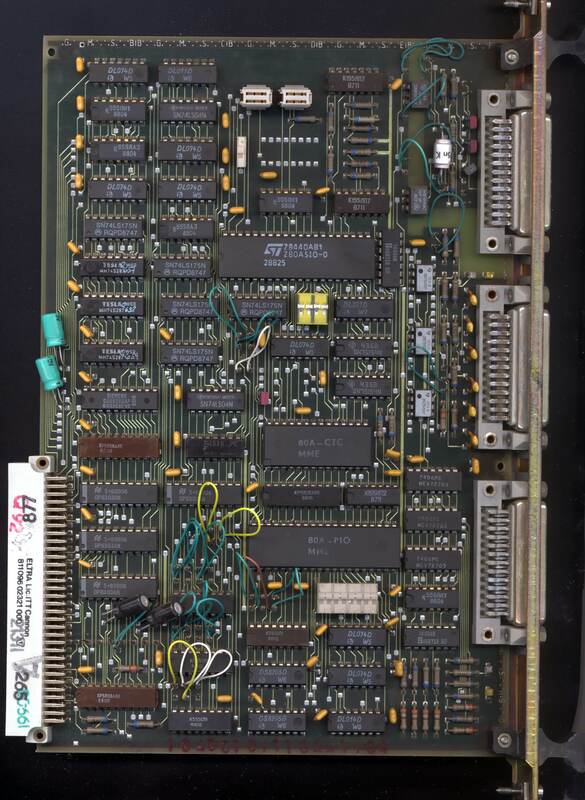 The difference is in power consumption (original IBM PC used much less power than Robotron's machine) and in expandability - CM1910 cannot be easily expanded with specialised boards. In 1980s IBM PC and its clones gained popularity as computers for business and office applications. 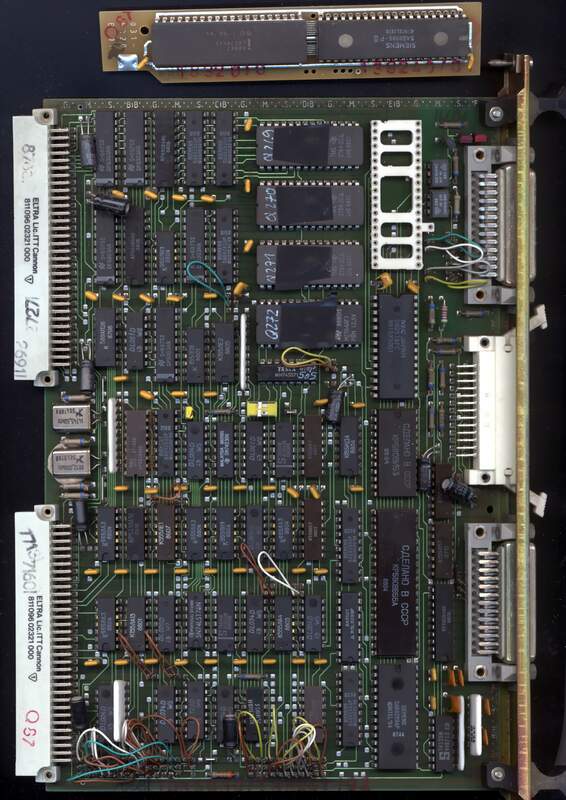 Development of boards for better graphics and sound made PC an universal machine for gaming, design or even computations. 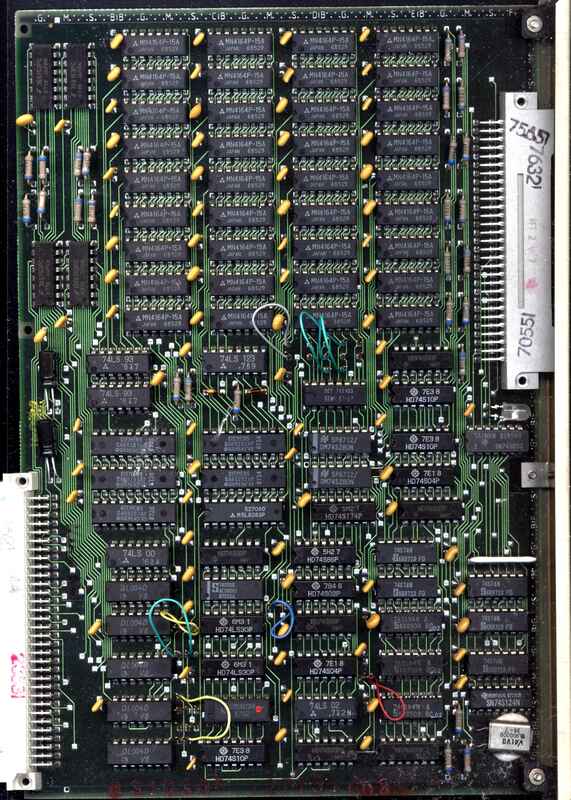 In Eastern Block countries in 1980s the most successful systems were based on mainframe or were small, usually Z80-powered systems. But there were numerous tries to build a PC-compatible computer and if such try succeeded, machine was manufactured until parts were supplied (or someone seen its inprofitability). 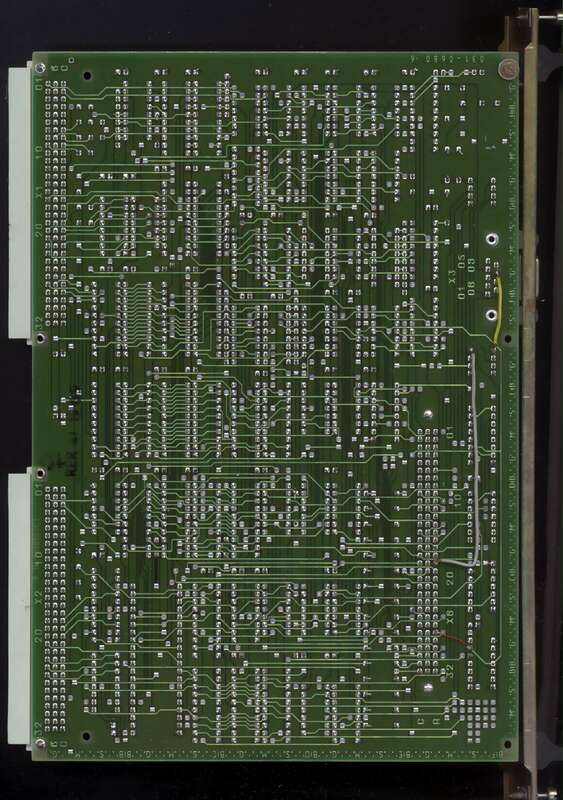 Robotron A7100 was the first widely-produced 16-bit computer in German Democratic Republic. 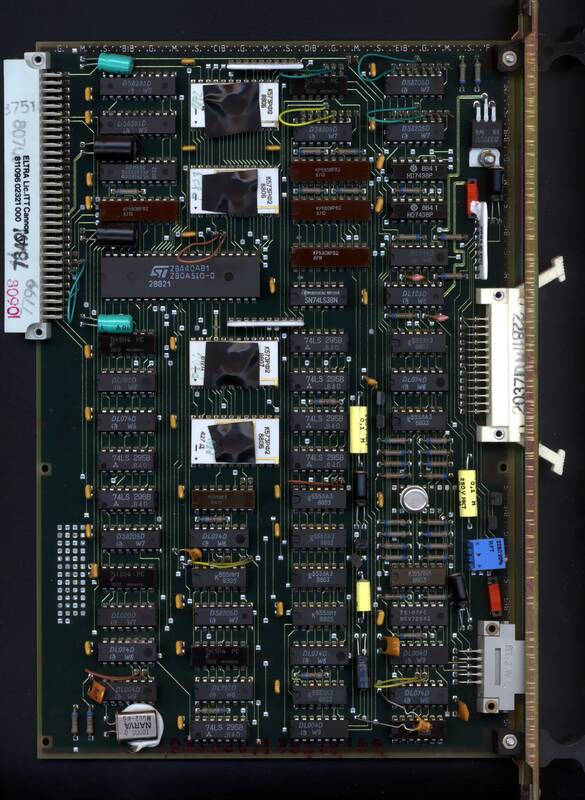 It was derived from MMS16 16-bit system, which fit on double-Eurocard boards, so in quite modern-looking case there are 8 or 9 boards connected by backplane. 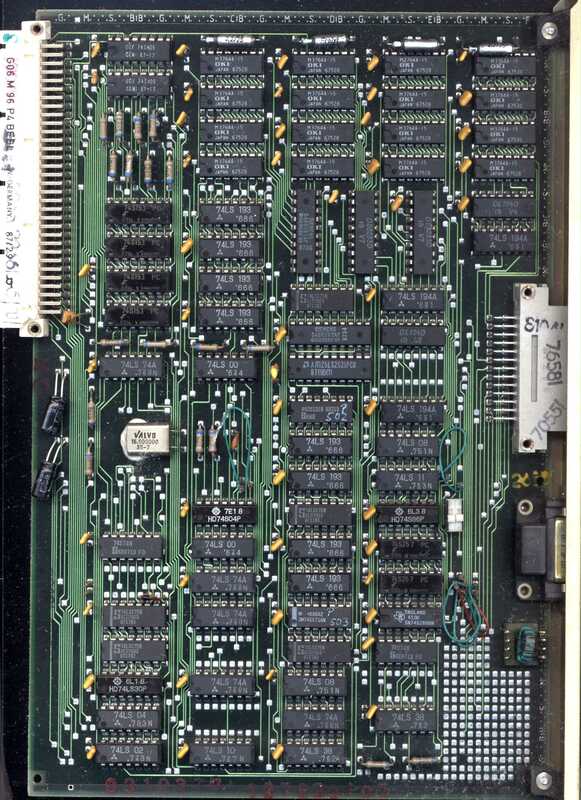 Although similar to PC, it is not compatible with PC as it has different memory map, with place for graphics board compatible with some early graphics extensions. However, after it was released, a software PC emulator has been developed. 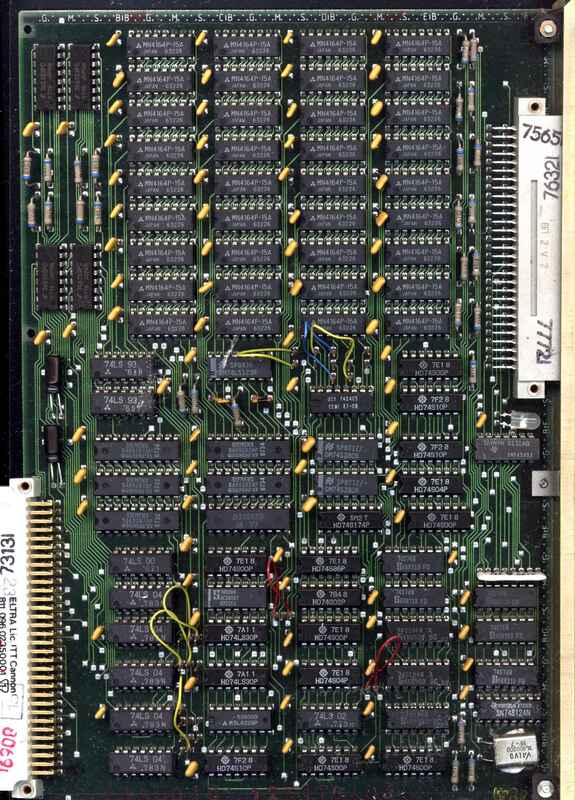 It was found that it is relatively easy to switch it to be totally PC-compatible, so later A7150 was PC-compatible. An interesting thing is about processors. 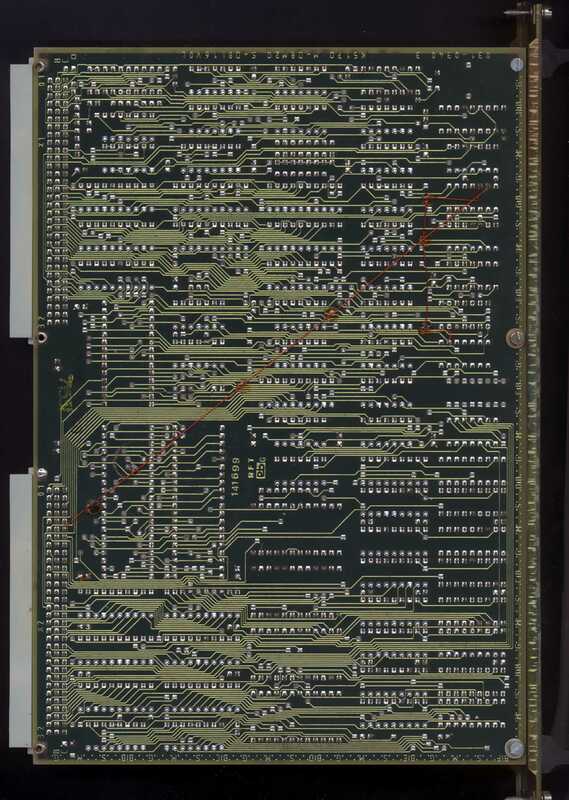 In all marketing leaflets there is information that processor was Soviet equivalent of 8086. But most A7100 and A7150 units have Siemens 8086, imported from West Germany. 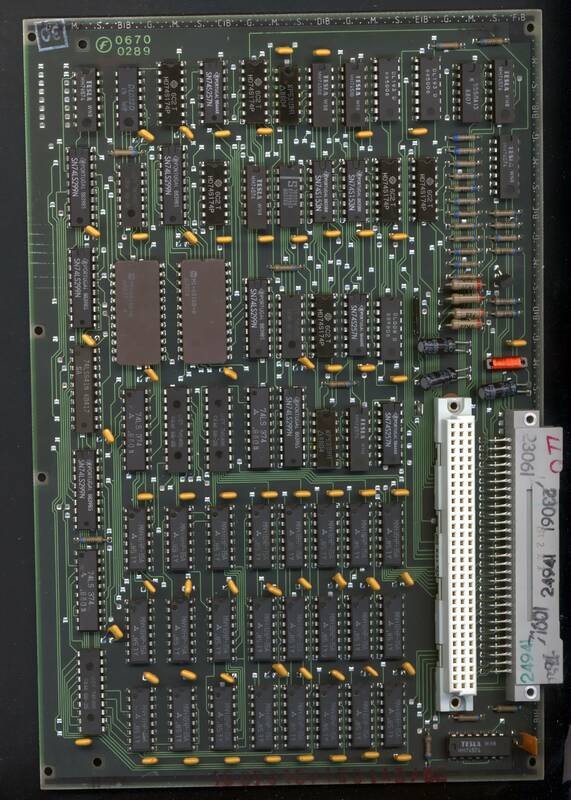 Marking eastern CPU in materials allowed Robotron companies to import components not accessible in western markets from Soviet Union easier. 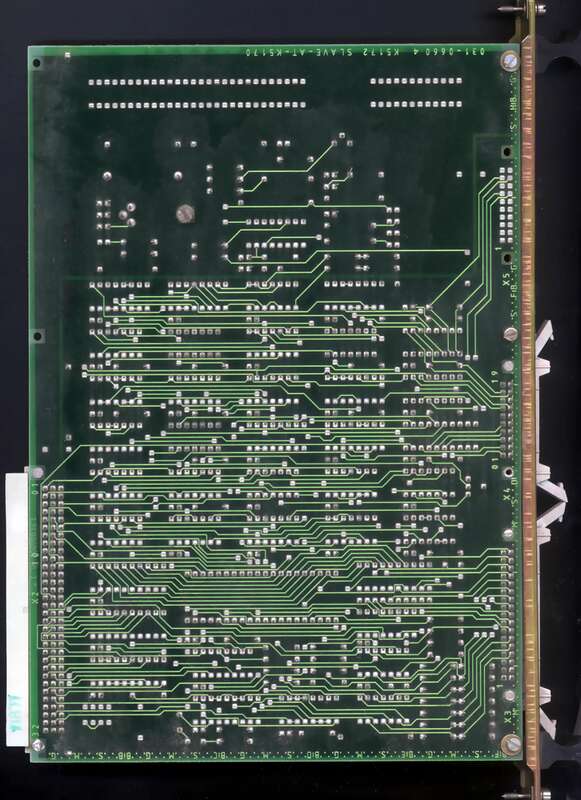 Although it was not officially possible to import computer parts by socialist-block country, it was done unofficial ways and Robotron made printers for West Germany (Prasident, Cellatron, some Commodore mechanisms) too. My unit starts and boots up well, it was restored to working condition. I have no keyboard for it, so it doesn't pass the POST, here known as ACT and jumps to monitor. The only thing worth noting here is that the monitor's brightness and contrast knobs for K7229.24 increase in opposite directions. 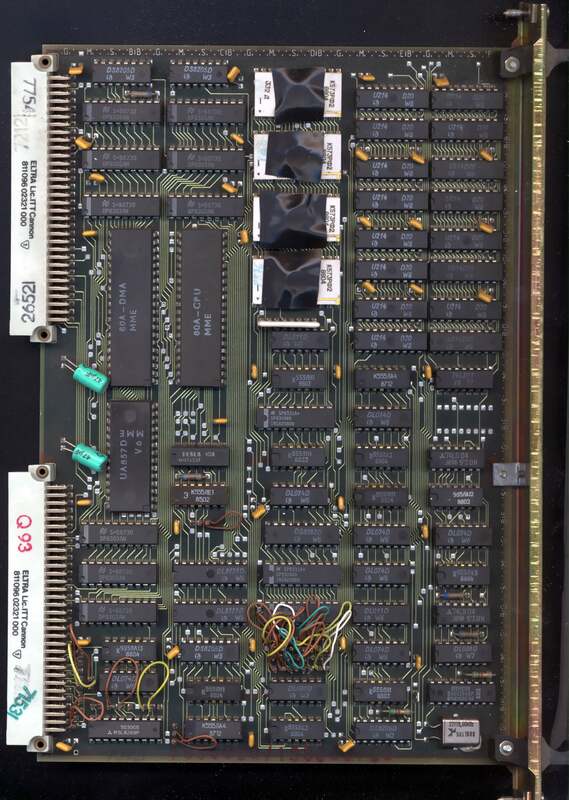 - ABG - Video card. This one speaks to monitor and drives pixels to their proper positions. 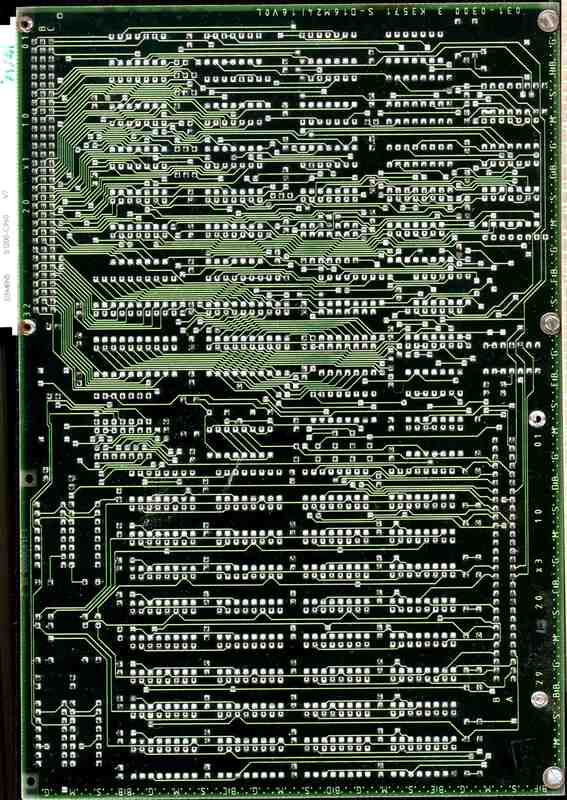 - KGS - Graphics terminal card. It's resopnsible of communicating with keyboard, tablet and diagnostic system..
- ABS - Text mode card - this one offers 80x25 text mode and nothing else. Exists in units without graphic mode. - KES - External drives controller, bridge between FDD/HDD/Streamer controllers and CPU. 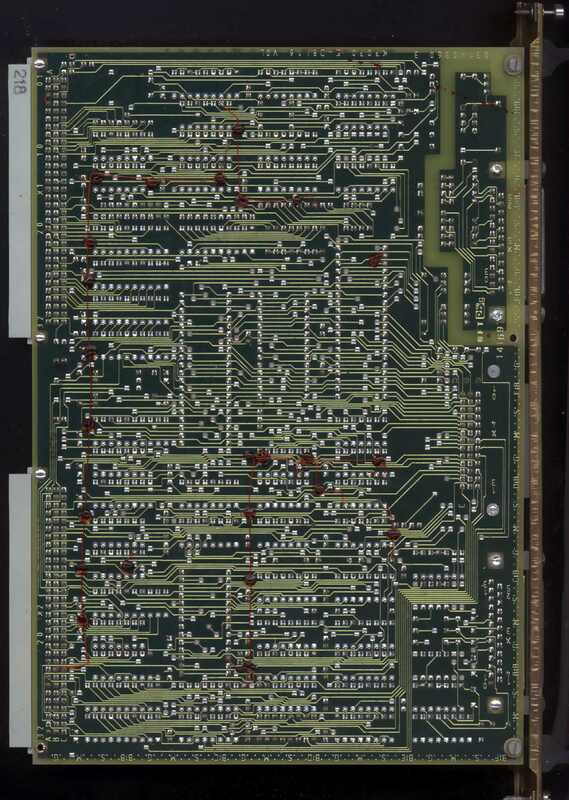 All boards have typical in east German hardware Kxxxx.y designations, e.g. 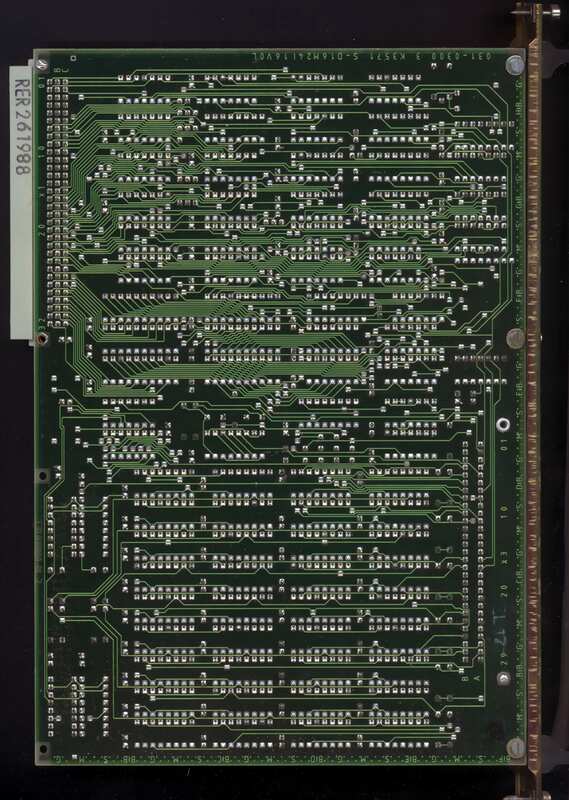 : K2771.30 ZRE is CPU board of A7150. Forgive errors, I don't speak German at all, tried to translate service manual. The first thing you should see is graphics card throwing all characters in one place. It's normal ABG board test routine after power-on. It is not dependent on any other parts. It sometimes happens spontanically, e.g. during codepage or keyboard set manipulations, the graphics card sometimes just needs to reset itself. You should hear a beep from computer and a beep from keyboard. Sometimes few very quick beeps from keyboard, sounds like one beep. In A7100, the screen may go a bit darker when power is applied. Firmware may beep and alarm with LEDs. After some time cursor should be visible. If it hangs on cursor, try pressing Reset, it'll go to ACT. Information below are for A7150. indicates error 3 in graphics, this condition prevents booting OS (NOGO). Some NOGO situations may lead to stopping, some to running Monitor program. There is one more status: NOT READY, it's for floppy drives. It is normal, some tests may be performed this way. If it hangs you can try to recover it with Break key. There are keyboard commands that can be used in ACT. These are Break key (at the beginning ?disables memory counting? ), A, C, T and B. These 4 letters can be keyed in 6 seconds after third PIC test dot appears. These commands, described as "Abort, Complete, Test, Boot" can in most frequent cases be used to replace test or enter monitor. 1 - ABS/ABG internal error?? 3 - ABS/KGS internal error?? 4 - Interface data error?? Errors in 5-8 may be caused by any of devices working with this signal: ADS, ABG, KGS, ZVE. 3 - Internal ABG/KGS error ? 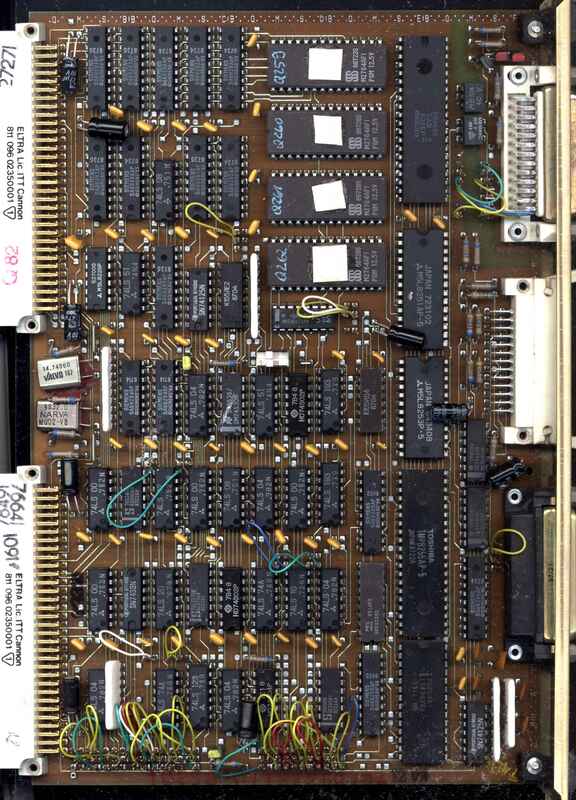 4 - Input buffer of USART always empty. 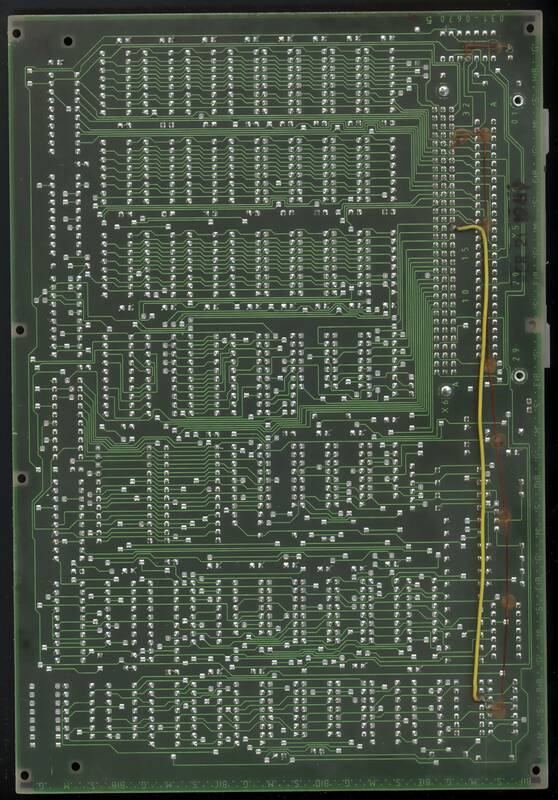 5 - Strange answer from keyboard's microprocessor. 1 - Checksum bad. How about ROMs in ZVE? 1 - KES doesn't reset nor respond. 7 - KES<->RAM data errors. KES or RAM bad. 1 - FDD or FDD controller error. Is diskette good? Is drive good? AFS? KES? 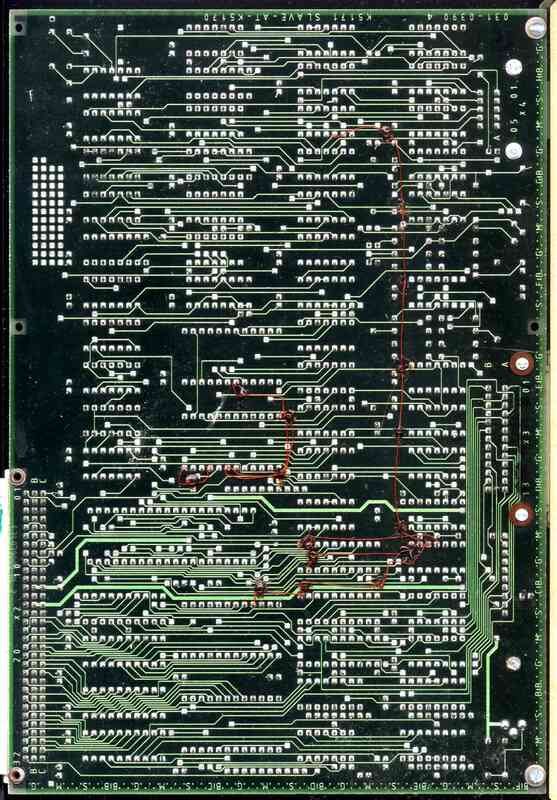 FDD controller board? 1 - HDD not identified - Disk incompatible, e.g. not LLF'ed. 2 - HDD read fault - Is HDD good? 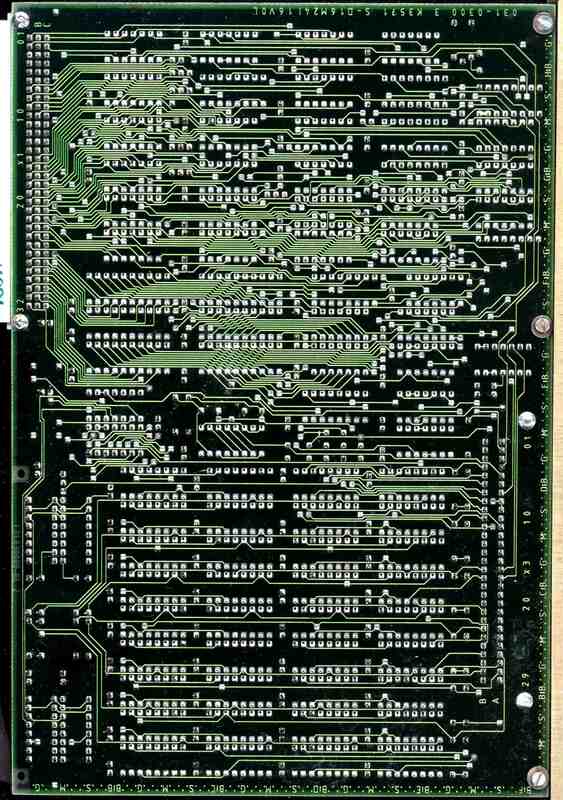 3 - HDD calibration fault - check HDD and AFP (HDD controller) board. The electronics in this computer rarely fails as it's quite solid although it looks cheaper than in earlier PCs (e.g. no IC sockets). The most frequently failing parts are mechanical connectors, they should be kept clean and fitted well. 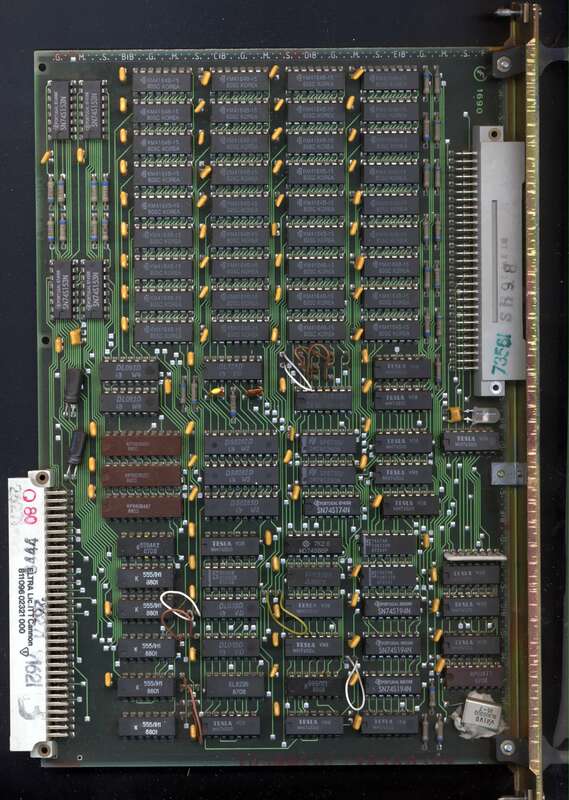 Ribbon cable and edge connectors for FDDs are culprit of many problems with floppy disk drives. The device has a large, switching power supply unit. There is also a small, transformer-based power unit (STVG 5PH) for keeping diagnostic and power-on systems alive as well as for potential starting up remotely by network. 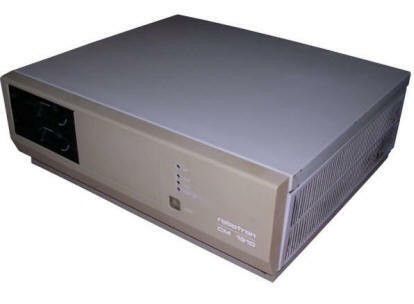 The main PSU consists of two high-power blocks (STM 5V for 5V, STVG A7100 for +/-12V) which supply +5 and +12V, as well as low-current negative voltage directly to the bus. If the 5V block fails to deliver power, 12V supply will not start (PF - Power Fail signal) and diagnostic systems will react by beep. If 12V block fails to start, the system will try to run, but will fail without picture being held at permanent RESET to minimize damage. The blocks have totally ca. 500W, which is sufficient for a PC made of TTL chips. They are cooled with two 220V fans, both of them are switched on by relays when power block outputs power. Fans have optical reflective sensors (RK) to monitor accidents in which fan stops. If fan stops for more than 7 seconds, the PC is turned off and green or yellow LED blinks indicating fan error (FF - Fan Fail). There is also a small board with PC Speaker, reset switch and state LEDs. 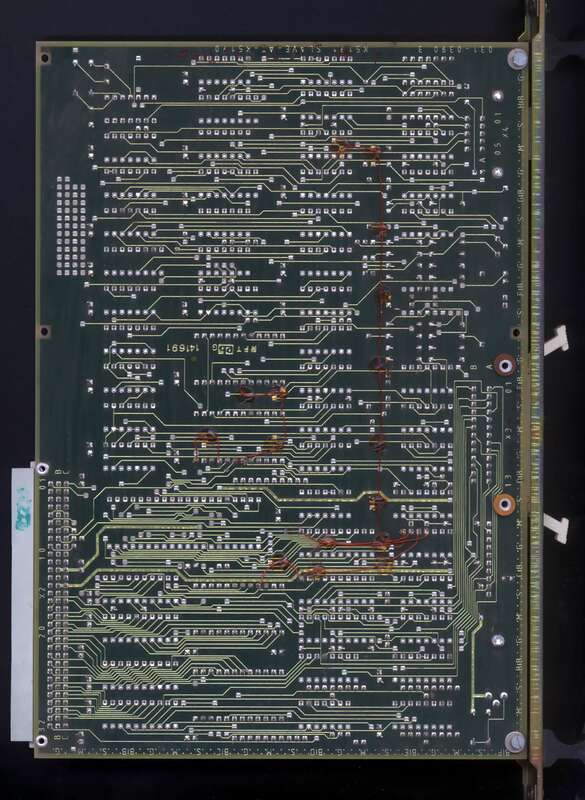 It is connected with a ribbon cable to the rear service connector on CPU board to supply connections for PC speaker, reset, power on/of and "power good" signals as well as to the switchboard for signals coming from system bus and fans. Another two connectors are for keyboard and graphics tablet. They are conveniently located on the side of the computer, inside being an extension cables. On the other side of their wires, they are connected to boards on the rear. That's why this computer requires 3 cables connected on the rear: Two for keyboard and tablet, one for control panel. Power for keyboard and tablet are supplied through fuses located in the front side near standby power supply unit. - A - fan's optical barriers obstructed by dust. Computer turns off after ca. 7s from turning on. Clean the barriers and fan's rotating "mirror" stickers. Check dust filter near FDDs - fans pull the air through a whole computer and blow it through power supply units. Filters are in air inlet, they look like mesh of plastic threads. Rear fan is not easy to remove, better remove boards and look through their tracks, maybe there will be access to sensor. - B - Filter capacitor - if computer is turned off by switch and it blows its fuse when connected to power, filter capacitor is bad. It can be removed and its power lines may be even connected (blue-blue, white-white), it will work. - C - Capacitors on front panel board - if computer doesn't start for the first time, but after powering off and then on it boots, look for bad electrolytic capacitors. 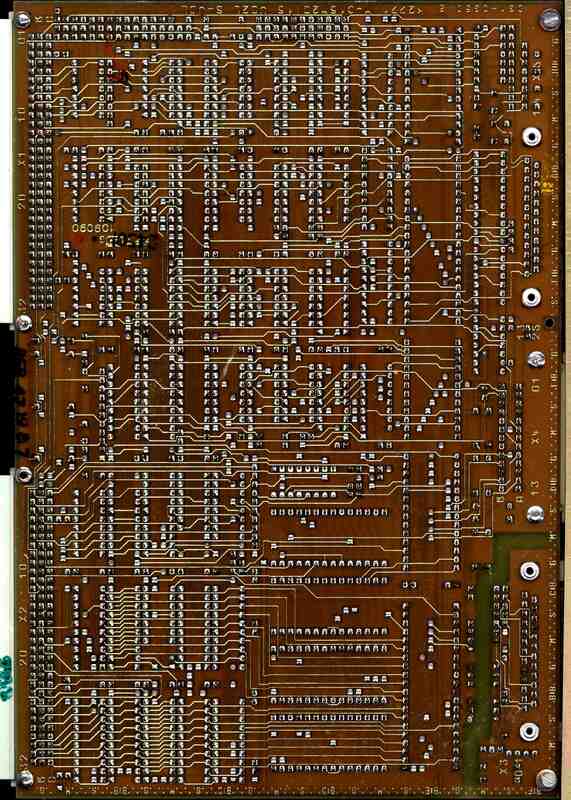 Start checking from front panel board, then power blocks, then PCBs with electronics. - D - 12V power block. It heats up much. Check its capacitor. In my unit, the keying transistor just blown by itself - which resulted in blown fuses in PSU block, but not in computer. Transistor may be replaced by other switching 100V, 10A NPN power BJT-transistor. - Remove bottom screws holding block in place. Block should start to move back and forth. - Slide the block off, it should go about 1-2 cm. By this, you unlink a small signal connector near bottom. - Remove DC connections from screw terminals. Remember which wire goes where. - Remove high-voltage AC connection from terminals of HV switchboard (part covered by piece of laminate). It will not go through hole with metal part, you have to slightly bend it and remove cable shielding from metal clip. WARNING: These files are LARGE. 1MB each at least. You have been warned. The Video signal is the standard monochrome signal which needs composite sync. In some units with text mode only graphics cards, composite sync signal is located on pin 9. 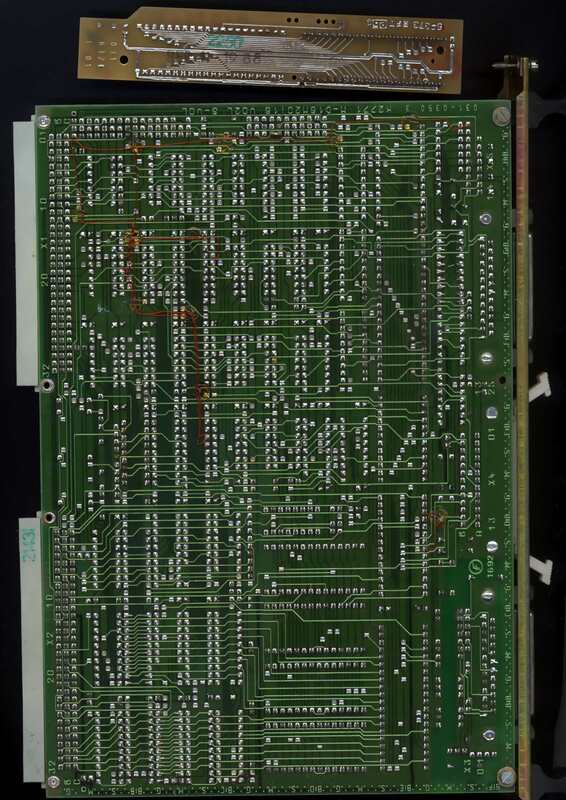 Graphics output is made, using a DB9 connector with specific pinout compatible with Robotron displays. However, it it possible to build a converter to connect Robotron to VGA monitor. In fact, Robotron never manufactured a nice monitor for this computer to take full advantage of 640x480 mode. All outputs are open-collector. VIDEO1 and VIDEO2 are TTL signals of video levels, giving 4 shades from pure black to pure green. Sync is composite, ?26kHz?. The original monitor was Robotron K7229.24 and can't be easily replaced with other monitors. WARNING: If you have such monitor without cable, there is a cable connector on its mainboard. 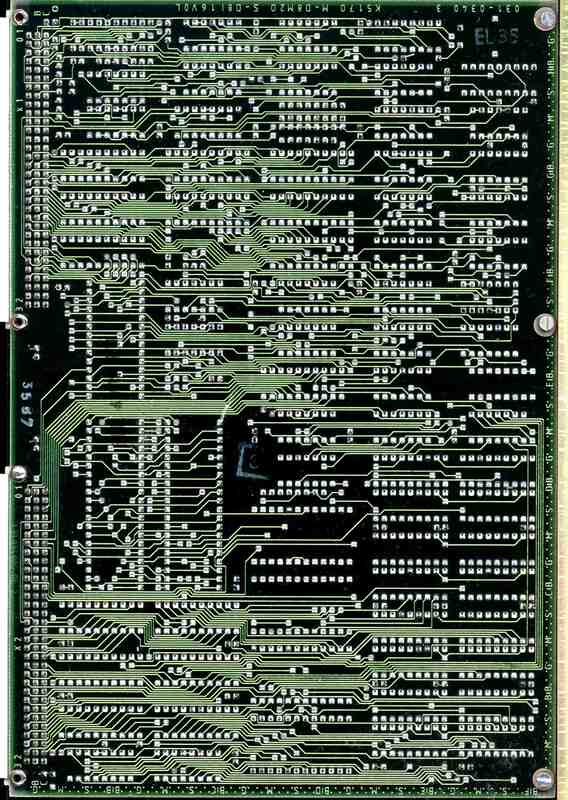 Numbers of pins in schematic are wrong. The proper is: CSYNC, then free pin, then VIDEO2, VIDEO1. Each cable in grounded sleeve If you need to make cable, compare your PCB with schematic. 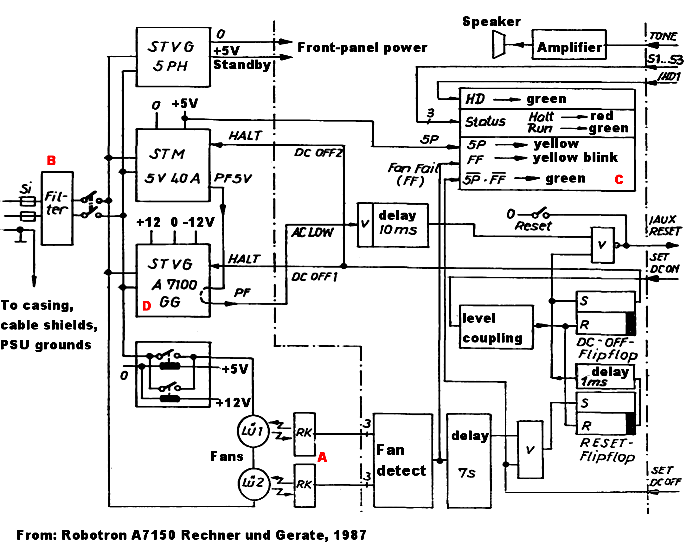 http://9hal.ath.cx/usr/digital-ag/archiv/ - Look for "A7150 Band 1 - Rechner und Gerate". http://www.ansealk.ru/ftp/OLD_COMPUTERS/ - Quite useful downloads site with Eastern-block computer bootdisks. http://web.archive.org/web/20060505141645/http://www.trust-us.ch/chalisti/chalisti_07/007_GFAA.html - This is in German, something about developing Unix on robotron.